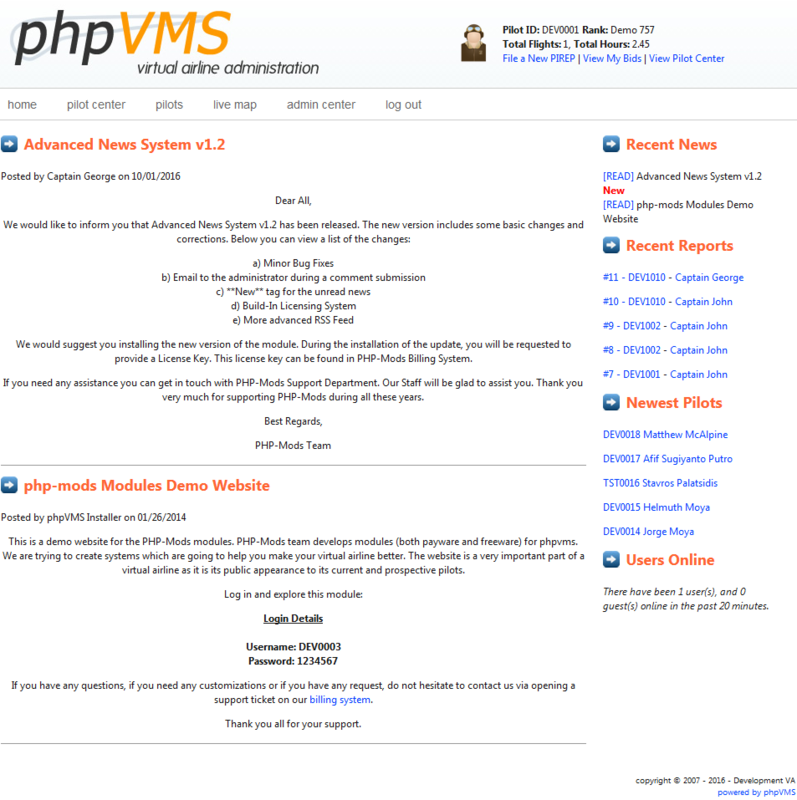 Advanced News System Module has been developed by PHP-Mods. 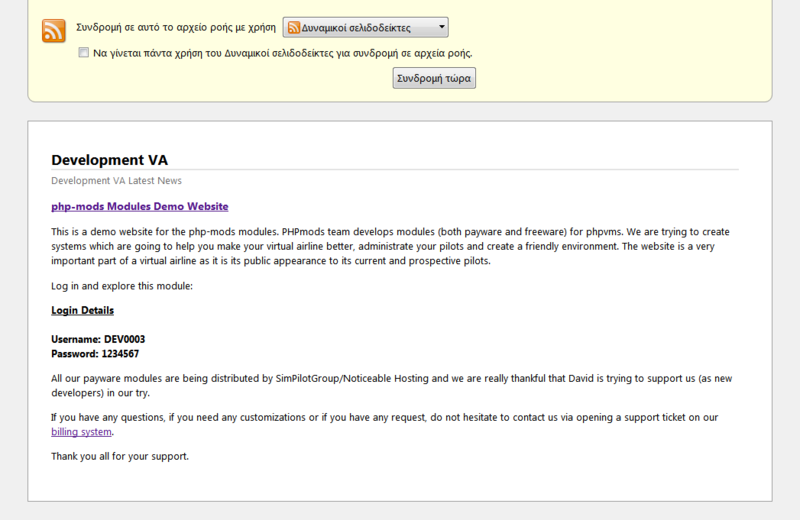 This module helps you share with your pilots your VA's news. You can email a specific group of pilots with just a click and also your pilots are now able to post their comments about an announcement. Add as many news as you want. Show a specific number of news in any part of your phpVMS website. Let your pilots comment and share their ideas about an announcement (this can be also deactivated for some of the announcements). Set specific terms and conditions for the comments. Email a specific group of pilots and let them know about an announcement with just a few clicks. Share the RSS link with your partners and your social media in order to publish your news wherever you want with just one click. 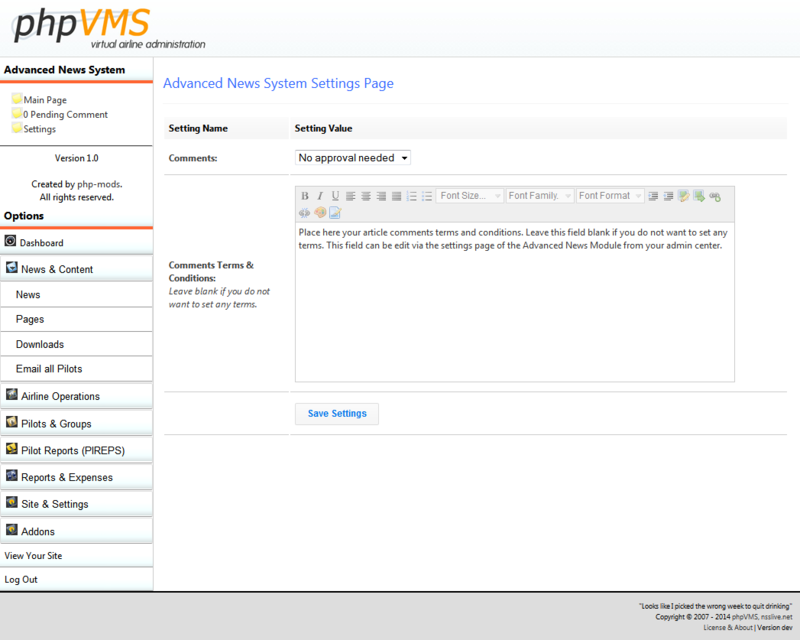 The following installation steps have to be followed by those who have never installed any version of the Advances News System. 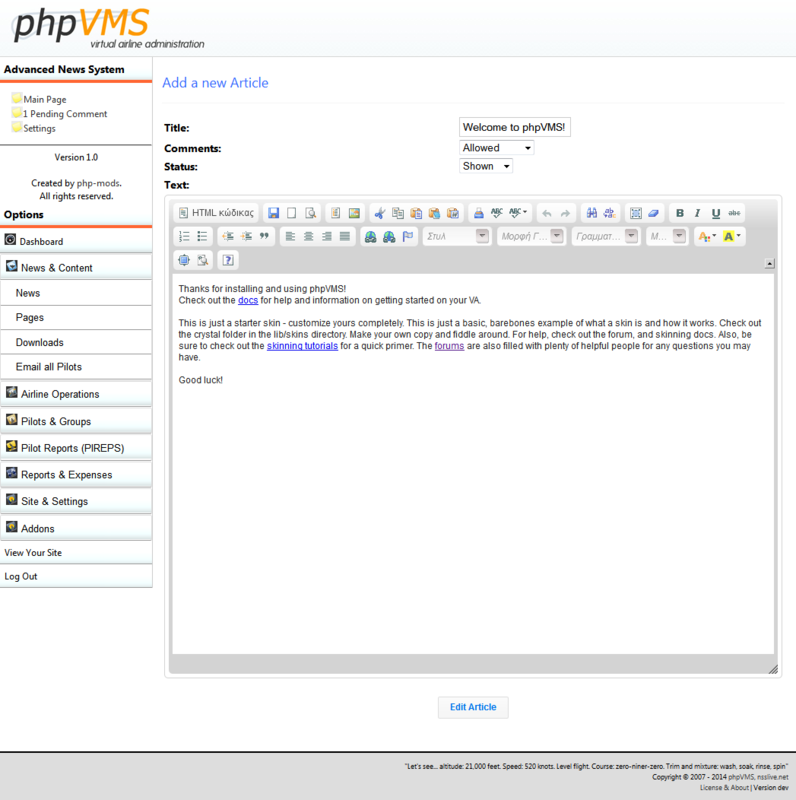 Download the correct version from the PHP-Mods Website. Backup Both your phpVMS files and Database !!IMPORTANT!! 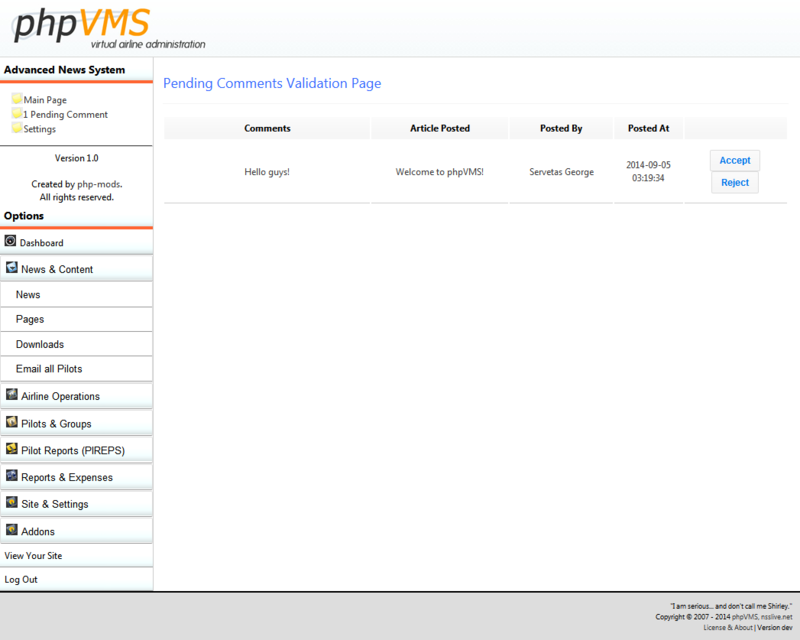 Upload the folders/files inside the package in the main folder of your phpVMS installation (where admin, core and lib folders are). Go to your website url/AdvancedNewsInstallSql using your browser (for example www.youdomain.com/AdvancedNewsInstallSql). 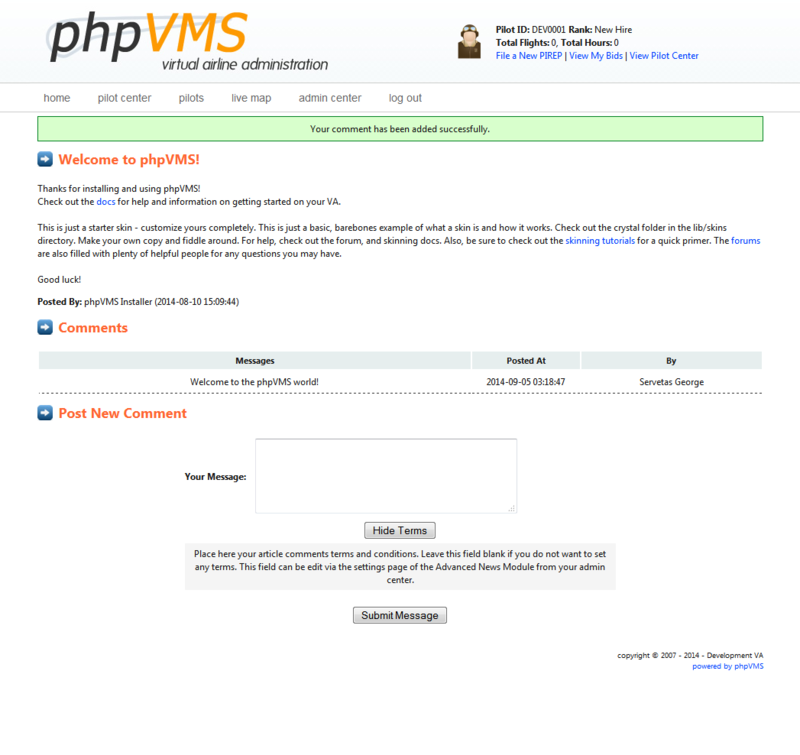 Paste the license key you received from PHP-Mods and follow the Installation Steps. 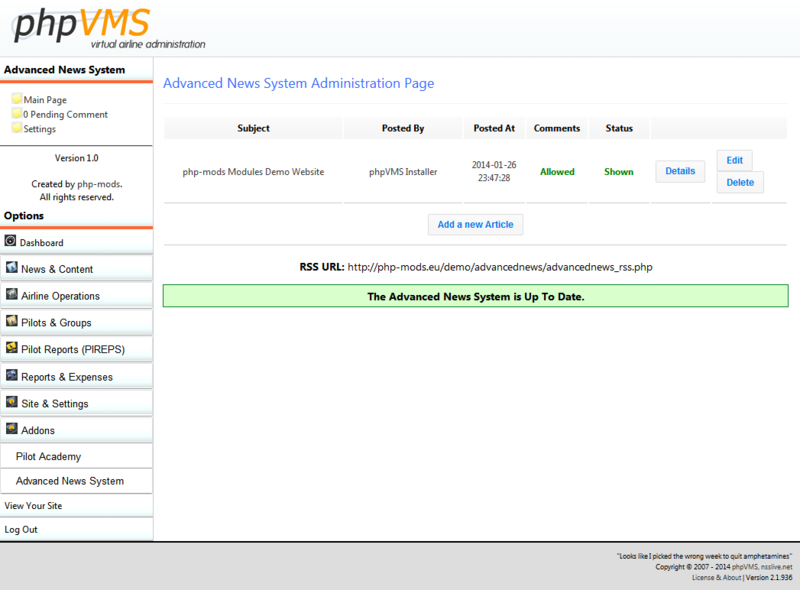 Delete both AdvancedNewsInstallSql and AdvancedNewsUpdateSql folders from the main folder of your phpVMS website.